I always had Queen Helene Julep Mint Mask in my stash but when I started my natural and cruelty free journey, I thought I would have to give up this product. I had no idea it was cruelty-free! The availability of cruelty-free products at the drugstore seems to be dwindling so just knowing that I could continue to use this was such a joy! You can find this easily and the price is amazing! More importantly, it works! I've been using this as a spot treatment around my nose and chin where my pores are huge. It really works to shrink them and reduce shine. Next product, is Rose Water from my local ethnic store. I know many use it as a toner, but I use it as a refreshing facial mist. If you need to know one thing about me is that I love anything rose scented. So of course, its my favorite! The scent is so uplifting and therapeutic. This is now a staple in my routine! So I'm not really a nail polish person, well....let's say I'm really picky. My stash contains about 4 polishes right now because I don't keep anything I don't like. So while perusing the aisles of Marshalls, I came across some Butter London polishes for only $4.99! It was a steal! I thought why not? If I don't like it, I'll only loose a few bucks. So I tried it out the next day and O.M.G! The application was quite smooth and flawless. It was almost as if it covered up all my nail imperfections with a single coat. Where have I been? Those four nail polishes I mentioned earlier? They're all Chanel so I thought they were pretty good...NOPE! 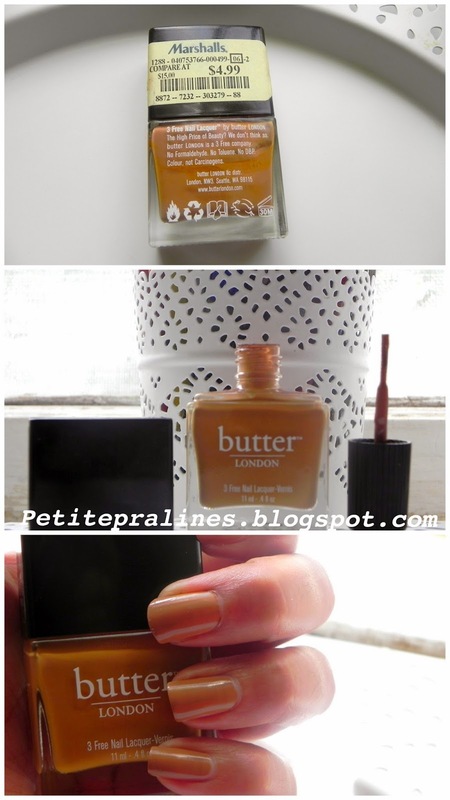 Butter London Tea and Toast blows out all my Chanel nail polishes out the water. 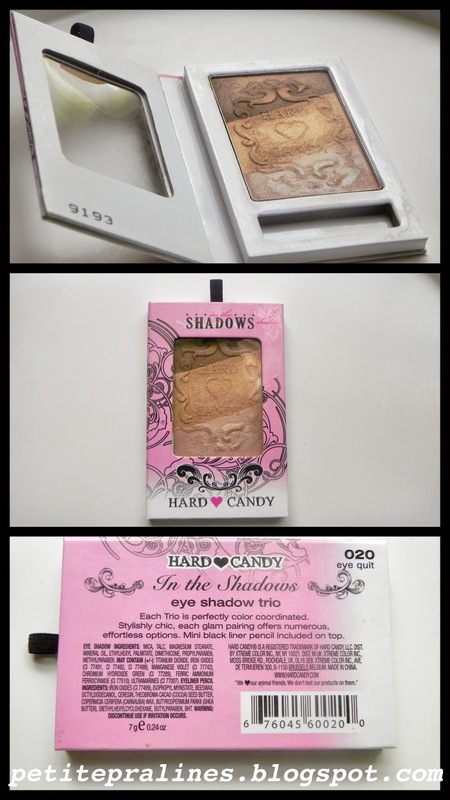 Some of my regrets this month is an eyeshadow trio by Hard Candy in the shade eye quit. While the packaging is completely adorable, the product is completely lacking pigment. I had to press down really hard on my skin to get these swatches to show up at all. So what are some products you've been loving lately? I just found the Mint Julep Mask and love love love it as well!!! I should start using my rose water as well I think! You won't regret the rose water...it just so soothing!